The Firefly welding machine has been successfully used recently with Lincoln Electricâ€™s AutoDriveâ„¢ 4R220 robotic 4-roll wire feeder incorporating a Lincoln AutoDriveâ„¢ 19 control unit. The video footage shows a four-system setup, with all four Firefly welding machines being operated simultaneously. To get an idea of how much welding is going on, check out the rotation speed of the spool carriers! The final section of the video footage shows the finished weld result. The workpiece is an internal landing stiffener used in the construction of offshore wind turbine jackets. The diameter of the workpiece is 4.5 meters and the weld procedure stipulates 32 passesâ€¦ so there is a fair bit of welding to get through. The weld process is MCAW solid wire in the down hand (PA 1G) weld position. 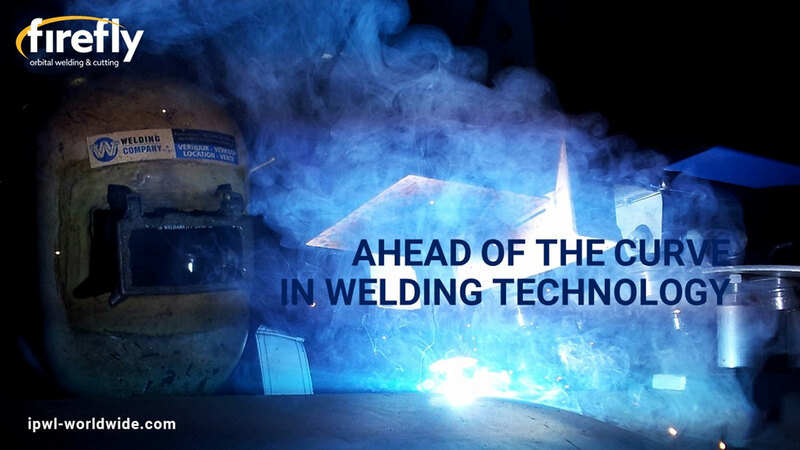 It took about two man hours to set up the welding and heat induction equipment for the jobâ€¦the welding was completed in eight hours with all productivity and quality targets met. Firefly is a semi-automated welding machine. The main purpose of Firefly equipment is to improve the productivity of the skilled welder. This is achieved by continually producing a consistent weld result with the latest equipment and technology. Firefly is a fully integrated digital welding system and is compatible with modern inverter systems and related equipment such as the AutoDriveâ„¢ 4R220 robotic wire feeder. To help with your welding project, Firefly can be rented with, or without, an operator. Help is also available with weld procedures and welder qualifications. Full installation, training and support is available.